KOLKATA: Two days after chief minister Mamata Banerjee prematurely celebrated former chief minister and CPM patriarch Jyoti Basu's birthday in the assembly, his comrades had to garland him outside its gates on the actual day of celebration. The Left parties had planned to offer flowers to the painting of Basu in the assembly. Accordingly, around 15 leaders gathered at the assembly gates at 10.30 am on Sunday. After leader of the opposition Surjya Kanta Mishra arrived, they tried to enter the house. But the securitymen stopped them, saying only sitting MLAs would be allowed entry. A heated exchange followed, with the securitymen pleading that they were "following instructions" of the Marshall. Among those who were not allowed in were former ministers Debes Das and Manab Mukherjee and former MLAs Rabin Deb, Rajdeo Goala and Sudhangshu Sil. Former speaker Hashim Abdul Halim was allowed in with the sitting MLAs. When Mishra failed to convince the Marshall, he called Speaker Biman Bandyopadhyay and pleaded with him. "I am requesting you to instruct the Marshall to let us in. As former MLAs, they have been given identity cards and enjoy the privilege of entering the house just like sitting members. I had taken verbal permission from you for this morning's programme that we had planned in memory of Jyoti Basu. Why should we submit a list of people entering the Assembly? They are all former MLAs," Mishra said on the phone. But permission was not granted. The "insult" was obviously not taken kindly by the former MLAs and ministers who decided to register their protest against such "unconstitutional" behaviour by the ruling party. A framed photograph of Basu was brought from the 'Ganashakti' office, placed on a chair and the Left leaders offered their respects at the gate of the assembly house. "This is absolutely shameful. We have been forced to offer flowers to Jyoti Basu on his birthday at the gates of the assembly. The speaker simply refused to listen to reason. The government celebrated Basu's birthday two days in advance and has now prevented us from offering our respects on the day itself. No one could imagine that things would come to such a humiliating pass," fumed Mishra. Speaker Biman Bandyopadhyay justified himself, saying Mishra had not submitted a formal application seeking permission for the programme. "We had asked for a list of names. Why could he not provide us with that?" Former Speaker Hashim Abdul Halim, however, was not impressed. "How can a speaker prevent former ministers and MLAs from entering the assembly? They bear identity cards that allow them this privilege," he said. West Bengal Pradesh Congress president Pradip Bhattacharya, too, called the act "shameful". "They should have been allowed to go in and offer their respects. The ruling party has not behaved properly," he said. Congress leader and Behrampore MP Adhir Chowdhury called it a "farce". "I won't be surprised if tomorrow they say that since Jyoti Basu is a former chief minister, we should take his painting out of the House!" was his snide remark. On the other hand, state panchayat and PHE minister Subrata Mukherjee criticized Mishra for not taking prior permission. He explained that since the assembly is closed on Sundays, the state government had organized the programme to pay tribute to Basu on Friday at the behest of chief minister Mamata Banerjee. "CPM MLAs refused to participate in it. They just sat there and sipped tea," he complained. According to him, "Mishra is seeking cheap publicity through media attention." "By paying their tribute outside the assembly, the Left leaders have dishonoured Basu," he said. "When Basu was alive, no CPM leader would go to Indira Bhavan with flowers to wish him on his birthday. It was only Subhas Chakraborty and his wife Ramala who celebrated it. 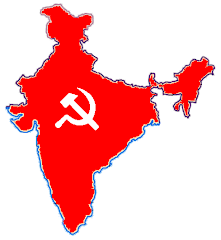 The other CPM leaders would say that communists do not celebrate birth or death anniversaries," Mukherjee reminded.He claimed the Left leaders organized this event only to counter Friday's state-backed programme at the assembly. "Former Speaker Hasim Abdul Halim is also well aware that prior permission of the speaker is needed to keep the assembly open on a holiday. Moreover, certain security measures have been installed decision for which was taken in an all-party meeting. So entry has been restricted now," Mukherjee said. "It's just drama. If Mishra had any respect for Basu, he would have visited Indira Bhavan where the CPM patriarch stayed till his last days. But how could Mishra have got publicity had he not enacted the drama in front of the assembly gates," Mukherjee lashed out. Meanwhile, CPM state secretary Biman Bose said that chief minister Mamata Banerjee, immediately after the government was formed, had said that the Assembly would be for the Opposition - a spirit that reflects democracy. "However, there is no reflection of that," Bose said, reacting to Sunday's incident. "Whatever happened today was shameful, and it is not clear which way the government is going." He said birth anniversary celebrations could "begin" a few days ahead, but to observe the actual date of birth has always been the custom. "What are the students learning from all this? This is disrespectful", Bose said. Labels: 2012, ASSEMBLY, JYOTI BASU, SURYA KANTA MISHRA, TMC-INC GOVT.